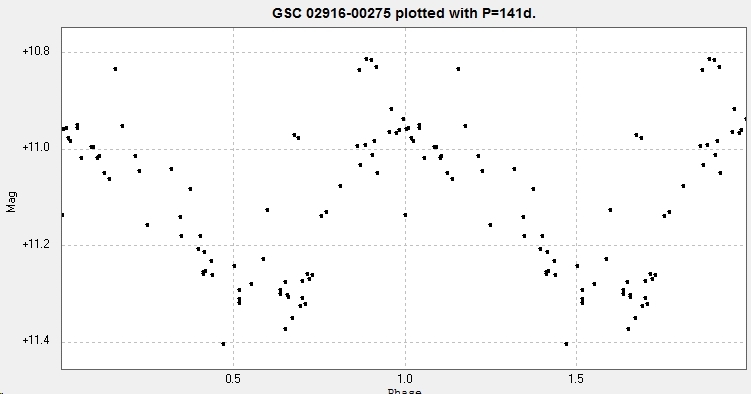 My seventh variable star discovery, GSC 02916-00275, an SR variable in Auriga. Photometry from images taken with the Bradford Robotic Telescope Cluster Camera between 2012 January 7 and 2014 December 28. 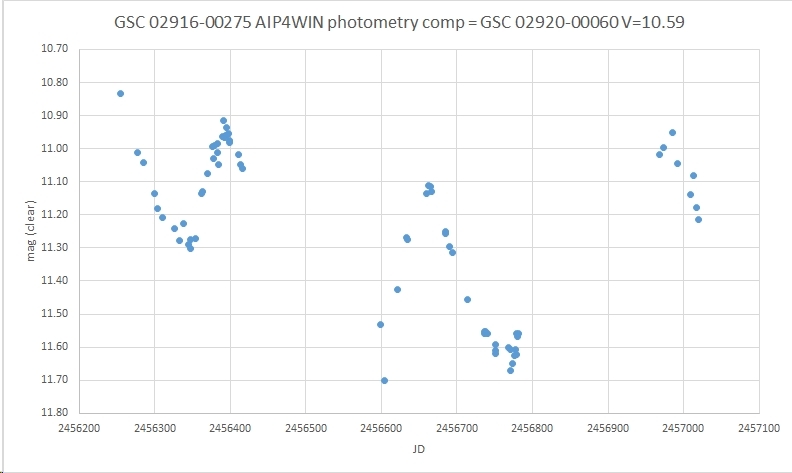 AAVSO VSX data here.